There is no greater gift for your loved ones than erasing the worries of uncertainty with estate planning. This is vital step that every responsible person must take to insure that his or her loved ones are protected. Estate Planning including wills, codicils, trusts, powers of attorney, family limited partnerships, health care proxies and living wills. Business Law including resident agencies, organization of corporations, LLP’s, LLC’s, and preparation of commercial contracts. Estate planning is the process of making legally effective arrangements to carry out your specific wishes if something happens to you or those you care about. For many people, good estate planning is more than just a simple Will. It should also minimize potential taxes and fees, and set up arrangements to make sure your wishes regarding health care treatment are followed. On the financial side, a good estate plan coordinates what would happen with your home, your investments, your business, your life insurance, your employee benefits (such as pension and 401K plans), and other property in the event you became disabled or die. On the personal side, a good estate plan includes directions to carry out your wishes regarding health care matters, so that if you are ever unable to give the directions yourself, someone you select will do that for you, including giving instructions to your doctors about administering or withholding extraordinary forms of treatment if your are in a terminal condition. Does it make sense to use an attorney? Is it expensive? 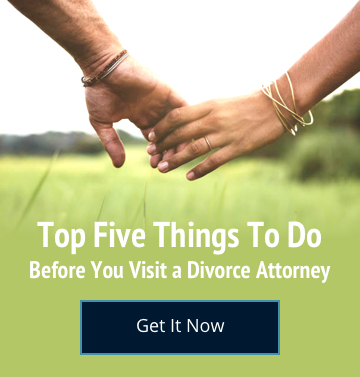 An attorney who regularly practices in the fields of wills, trusts, probate and estate planning is best qualified to provide you with really sound legal advice as you put your estate plan into place. When you speak with an estate planning attorney, you can get answers to your questions –including how much estate planning would cost. Often the expense incurred in retaining an attorney to give you that advice and to prepare the necessary documents to establish your estate plan is negligible compared to what your estate would pay in the event of your death if there was no planning or poor planning. The only time that you can prepare and implement an estate plan is while you are alive and have the mental capacity to make the decisions required for estate planning. If you do not make a plan until after you become unable to manage your own affairs or suffer from some other disability which affects your legal capacity, your estate plan may be effectively challenged by those who assert that you lacked the necessary mental capacity at the time the documents were created, or that you were subjected to fraud, coercion or undue influence during the creation and implementation of your plan. Many guides to estate planning are available. Some contain valuable and useful information. Others are misleading or greatly oversimplified. Beware of friends or other individuals who assure you that you can effectively do your own planning and prepare your own documents. While it is helpful for anyone entering this process to know as much as possible about estate planning, there is no substitute for the advice and efforts of a professional estate planning attorney. If you are within any of these categories, you should have an estate plan. A Will, sometimes called a Last Will and Testament, to transfer property you hold in your name to the person(s) and/or organization(s) you want to have it. A Will also typically names someone you select to be your Personal Representative (or Executor) to carry out your instructions and names a Guardian if you have minor children. A Will only becomes effective upon your death, and after it is admitted to probate. You can execute a new will as long as you are still alive and mentally competent. A Durable Power of Attorney for Health Care or “Health Care Proxy” appoints a person you designate to make decisions regarding your health care treatment in the event that you are unable to communicate with your doctors. A Living Will or Directive to Physicians is an advance directive that gives doctors and hospitals your instructions regarding the nature and extent of the care you want should you suffer permanent incapacity, such as an irreversible coma, and cannot make decisions yourself or express your wishes to your doctors. A Living Trust may be established to manage your property while you are still living and after your death. You can select anyone you wish—including yourself — as the Trustee(s) to carry out the instructions you place in the Trust document. Unlike a Will, a Living Trust becomes effective immediately. It continues in force during your lifetime, even if you become disabled, providing for your needs and those of your family. It may terminate at your death and distribute the assets to the persons whom you have named, or continue for as long as you specify, making payments to your loved ones. If the trust is “revocable”, you may make changes in and even terminate it during your life. An irrevocable trust may be used to obtain certain tax benefits, but is very difficult (and sometime impossible) to change or terminate. A Family Limited Partnership can be used to own and manage your property, in a similar manner to a Trust, but allowing additional tax planning techniques to be employed. Family Limited Partnerships are typically used for those who have large estates and thus have a need for specialized estate planning in order to minimize federal and state estate/death/inheritance taxes as well as protecting your assets from creditors. How can an estate plan prevent a guardianship or conservatorship proceeding? A Living Will or Directive to Physicians contains your instructions as to whether artificial life support systems are to be used or withheld. A Durable Power of Attorney for Property enables you to authorize a person to act in your place in the event of your incapacity; this “attorney-in-fact” can manage your financial affairs without the need to have intervention by the courts. A Trust or Family Limited Partnership may be used to hold property; the Trustees or Partners manage the property held by either of these entities. When it comes to planning your estate, your situation and your wishes are not the same as anyone else’s. Forms, books and computerized documents cannot fully deal with the nuances of your needs. Steinberg Law Group provides carefully customized wills and other estate and advance planning documents. Each is specifically created to accomplish your particular wishes and to meet your family’s particular needs. Because they are created on an individual basis rather than through a one-size-fits-all computer program, your estate plan will be custom to your particular situation. As each client’s concerns are unique, we create plans to give our clients the comfort of knowing that their loved ones will be prepared to respond decisively when the need arises. That level of comfort exists not just because of our technical ability, but also because of our excellent listening skills. Working closely with our clients, we get to know them, their families, and their trusted advisors. A commitment to that process allows us to better understand each client’s goals and objectives, to identify potential hazards and to develop creative solutions. Wealth preservation and protection require an appreciation of the current and future needs of our clients and of those who depend on them. Multi-generational planning requires cutting-edge legal and tax planning techniques, and an appreciation of the human dynamics involved in intra-family disputes. Our clients rely on us to help them make prudent business, financial and personal decisions and we take that responsibility seriously. Each executor, administrator, trustee and other fiduciary is bound to promptly create a plan to meet their legal, financial and ethical responsibilities. Without a timely and effective plan, a fiduciary cannot properly discharge the duties of office, thereby risking personal liability for opportunities lost and expenses incurred. We are committed to ensuring that our clients have a complete understanding of their obligations and a clear plan for meeting those obligations before they accept fiduciary appointments. Strict deadlines, limited marketability of assets and volatile financial markets require beneficiaries to be proactive in protecting their interests. Beneficiaries who delay in asserting their rights could experience irreparable financial harm through missed opportunities, increased tax and other costs and changing economic conditions. As each trust and estate is unique, we work closely with our clients to evaluate the various relevant legal, financial, tax and business issues, and to understand their concerns, needs and expectations. Our clients rely on us to help them make prudent decisions for meeting their legal, financial and ethical obligations, and we take that responsibility seriously. Each “corporate entity”, such as limited liability companies, limited partnerships, and corporations, formed in Nevada or engaging in business in Nevada, must designate a registered agent in the State of Nevada. The duties of the registered agent include receiving and forwarding legal documents and other important correspondence and Steinberg Law Group is available to handle these duties.